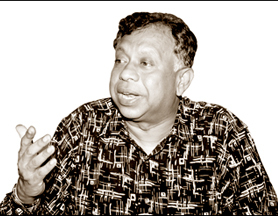 What is your observation on safeguarding Human Rights in Sri Lanka? Absolutely essential. Protecting Human rights is required to build confidence among all, especially, the minorities and in the long run, it supports the peace building process as well. Ensuring Human Rights is an appropriate way to make the people feel they are getting equal treatment. Wining the confidence of people is an essential aspect in carrying out peace building process. Safeguarding Human Rights in Sri Lanka is very low. I’m not satisfied with the situation at all. Specially the implementation of international treaties, the UN Convention, Children’s Charter etc. The present Government has not taken necessary measures to give effect to such treaties so as to protect Human Rights. Government has not taken serious action to provide for them in our legal system. How do you see Human Rights violations that seem to be threatening the civil society in the recent years? I think if we compare the present situation with that of some twenty years ago things have improved much better. At the moment we have a clearly independent judicial system. This was not the situation in the ‘80s. There were some judges in the Supreme Court who said that since the Government is elected by the people the Government should not be brought before courts. It is not the case now. At times the judiciary puts the Government at a, test. And also there should be an understanding on the limits of others freedom particularly the relevant parties. Especially after 2005 there has been an escalation of violence, Missing in Action, extra judicial killings etc. And especially with regard to the Tamil people from the North and the East who were in Colombo and later who were sent back to Vavuniya. Fundamental rights of citizens must be protected. As a responsible Opposition we have been warning the Government on these Human Rights Violations. And we see suppression of the media. We have seen 12 media personnel being killed during this short period of time. So we see that the situation has turned from bad to worse. It is difficult to hide things from the world. With hi-technology even the minute thing that happens here will be known by the whole world in seconds. What are your comments on the concerns expressed by the international community over the Human Rights issues in Sri Lanka? One thing we must get clear is that the international community on the whole, has been very positive. There is a certain tendency for the English speaking people of our country to feel that the international community is only the West. But if we take the recently published Universal Periodical Review on Human Rights of Sri Lanka, 56 countries spoke and well over half of the countries participated were very positive over the Human Rights situation in Sri Lanka, as a whole. Even if we take the UN Convention on Human Rights it is not only political rights that we are concerned with but economical rights, social rights as well. Some of the countries really recognized the Government’s effort in providing social facilities even to the people in the uncleared areas. The Government manages to do that even at a state of war. But the Secretariat in Geneva tended to stress the people who were critical about the political rights. I think, the record that is there is quite positive about our general achievements while drawing attention to few certain issues. We are really worried. 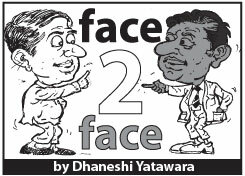 The goodwill and the image of Sri Lanka has been tarnished. We are worried about what the international community is adding. What will be the results? Foreign Governments, Foreign Organisations etc who are helping Sri Lanka by providing different types of assistance will question us. We do not know what will happen to the GSP plus. If we loose, over 300,000 people will also loose their jobs directly. Our loosing the Seat at the UN Human Rights Council is a great setback. We had the membership and we were enjoying it. But we see that the Government is not taking it as a setback. But we do not see any good results. What is your assessment on the measures adopted in Sri Lanka with regard to the stability of Human Rights? Well we have the Human Rights Commission and as I see it, those people who are accusing that the HRC is inadequate are really not assisting us to fully perform. One of the incidents where I find insincerity is when the UNDP recommended assistance to the HRC some years back their people in Colombo did not take necessary steps just because they wanted to criticize the HRC. The excuse we have heard that is given by the then Colombo UNDP is that they did not have funds, which was false, later I was informed. And we need to give an efficient training for the personnel involved in protecting law and order. For example, for freshly recruited young men to the police service must be given practical training on Human Rights protection. They must know what the practical problems they would face during their work. They must feel their responsibilities rather than just knowing. There are no steps taken by the Government with regard to the stability of Human Rights. The Inter Parliamentary Union (IPU) has issued a statement that the lives of ten Members of Parliament of Sri Lanka are under threat. And ten other cases of Sri Lankan MPs are under consideration at the IPU. The Union cannot be influenced by outside sources. Members of Parliament are those voted to office by the people. The Government should understand the gravity of the problem. During our regime we were able to protect our seat at the Human Rights Council. After November 17, 2005 the situation has turned worse. How do you compare Sri Lanka with regard to the protection of Human Rights with other communities in the region and internationally at large? Each country has different issues. But to my view, I see that most of the countries are positive towards our stability in Human Rights protection. Especially see how the social and economic rights are protected. In education for women, we are far higher than many of our neighbouring countries. We can compare but what is important is our credibility and our position. Attributing all the blame to the existing war, is not a justification. Irresponsible action will bring discredit to Sri Lanka. I myself went through an injustice when there were threats to life from extremist groups. What sort of assistance Sri Lanka should obtain over the protection of Human Rights from the international community? International assistance is alright but not intervention. We must seek what we really need. Especially to strengthen the process within the country. We must give a very professional training for the people or officers belonging to the relevant institutes. If people are not professionally trained there is a tendency for them to get violent during executing their responsibilities. The officers who have to come across issues related to Human Rights need to know more on prosecution and intimidation to tactfully handle situations. First of all Sri Lanka should listen to the international community. And Sri Lanka should follow international protocols and conventions signed by the Government. Then Sri Lanka should show the genuine commitment to protect Human Rights. I strongly feel that the present Government should take immediate steps to implement the 17th Amendment in order to protect the Human Rights. The 17th Amendment is the law of the country. The MPs and the President have given oaths to protect the Constitution of the country. The International Community is at constant watch. If the Government does not protect Human Rights, they will be indirectly inviting the International community to intervene. It is for the past two decades the terrorism remains a big challenge to the unity and integrity of our country. Therefore when the measures are in place to tackle terrorism militarily how best the Human Rights could be protected? The Security Forces, particularly the Army, has an excellent training in protecting Human Rights. Their current records are quite outstanding. Accusations on child soldiers is of the LTTE. The Government is trying their best to release these children. Civilians getting killed in crossfires in the FDLs are very minimal. We know that there are abductions of civilians and the Government has taken steps to inquire in to these. And of course we know that there are conflicts between the LTTE and other paramilitary groups which contribute to certain extent to these factors. But in recent times these have been reduced to a greater extent. This war existed for the past twenty years. This war did not start after November 2005. All the previous governments had to protect the territorial integrity of Sri Lanka. Our position is that the territorial integrity and sovereignty of Sri Lanka should not be challenged. Sri Lanka is one country. We will not allow anybody, whatever the force, to divide this country. But, the mere fact that we are fighting terrorism cannot justify the violations of human rights. What are the measures must be taken to stabilize and enhance the stability of Human Rights in Sri Lanka? And as and when the Government comes across any allegation against any official they must be prosecuted. What’s wrong with us is that we wait till we get 99% evidence. That is not needed. Let the courts decide. The relevant Government officials should take these steps when necessary. Hence, the message is conveyed to the others that such acts are not acceptable. Many cases of human rights violations, as I see, are against the Police. May be because it is their nature of their job. They come across people more often than any other security forces. Therefore they should be given a very professional training on securing Human Rights and related issues such as prosecution. They must feel their responsibilities and not just mere knowledge about it. I highly appreciate the steps taken by the Police to solve the language problem. And their training should continue periodically. It is a must. These officers must know to use the formula when tackling HR related issues. As I said earlier, the Government has to be genuine. 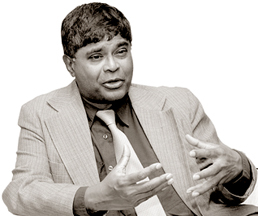 The Government should fully implement the International conventions Sri Lanka have signed. The Human Rights Commission must be strengthened and not made to act as a mere puppet. A classic example is my case! The Government overlooked their revelations on my human right violations when I had life threats from extremist groups. There are many cases like that. The Government should strengthen the Parliament. The Government should take immediate steps to implement the Constitutional Council under the 17th Amendment and also implement the independent Police Commission, Independent Election Commission and Independent Public Service Commission. Do we have adequate legal measures with regard to the stability of Human Rights in the island? The legal provisions are certainly there. That is one reason why violators of human rights can benefit more. That is why the Government should prosecute the violators of human rights without waiting for full evidence to proof. Proving and convicting is the responsibility of the courts. It is the government’s responsibility to bring the violators before law. Because that sends the message to other violators that the government totally disapproves such actions. Well, I should say we do not have. That is why the Government should take steps to enact the International treaties. Most of the countries who have signed these treaties have integrated them into their legal systems. The legal system has to be further strengthened and there should be an independent judicial system.